Air travel used to be a lot more expensive and exclusive before the industry was deregulated, and many airports therefore had a lot more amenities that were included in the cost of your pricey ticket. Of course, the events of 9/11 changed the design and operation of U.S. airports, as did technology and health concerns. See how many of these features, if any, you remember. Plane spotting as a hobby has become less convenient since 9/11. Watching airplanes take off and land was a free and exciting activity that a lot of kids enjoyed with their parents back in the day; so much so that almost every airport had a glass-enclosed observation area (outside the security check) where the public could sit for hours to watch and even photograph jumbo jets. 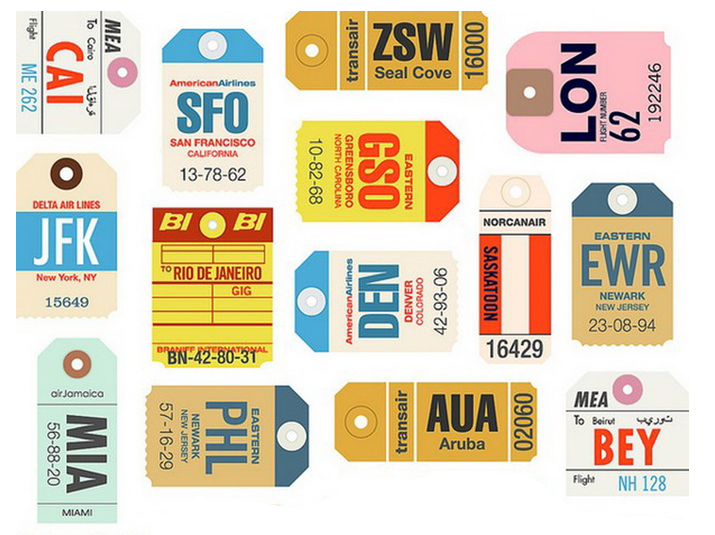 Baggage tags affixed by airlines at airports used to be as different and collectable as postage stamps. Each airport had its own logo and color combination and overall design, so that you could tell from many yards away if the bag was destined for ORD (Chicago) or ORY (Paris). In the name of efficiency, baggage tags are now computer-generated and are all of the same generic, zebra-striped black-and-white bar code variety. The berobed followers of Krsna handing out flowers while soliciting donations at every major airport was so ubiquitous in the 1970s and '80s that it was included as a joke in the 1980 farcical film Airplane! Tighter security, combined with a 1997 ban imposed at LAX by the City Council, eventually prevented the sect from approaching airline passengers as they tried to catch their flights. 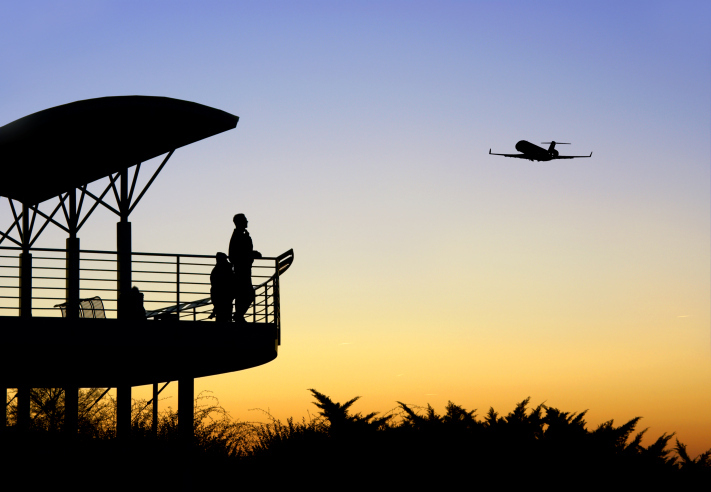 Believe it or not, one of the perks offered by most major airports to businessmen (they did most of the flying at the time) was the use of an airport-owned automobile for a nominal fee. 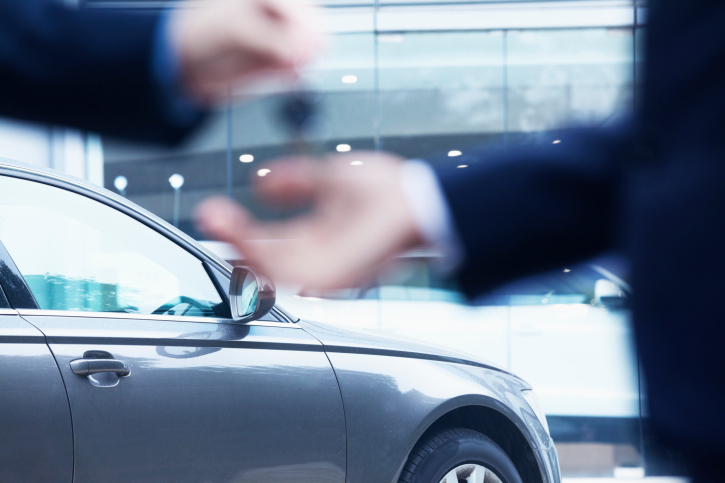 Eventually, rental cars would become big airport business and those Important Businessmen would have to wait in line with the rest of us Average Humans to pick up a sub-compact. If your flight happened to be delayed and you didn’t feel like reading, watching TV was one way to make the time pass quickly. 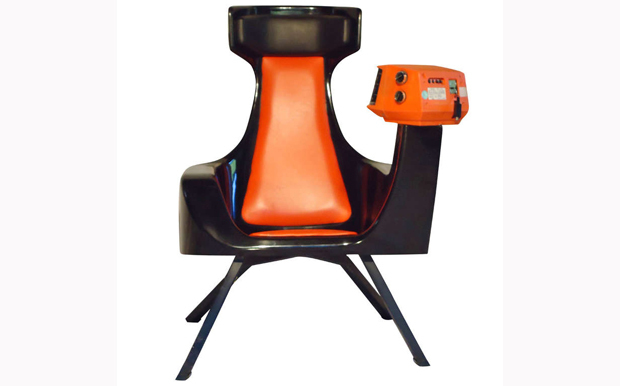 Most airports had a section of “TV chairs” that featured coin-operated televisions which would provide 30 minutes of local programming for 25 cents. Since pretty much everyone has their own portable entertainment these days, the Tele-A-Chair equipment is not economically viable for most airports. In many other parts of the world, luggage carts are owned by the individual airport and are provided to customers as a convenience. This was once the standard in the U.S. as well—until the late 1960s when the buggy business was sub-contracted out to a company called Smarte Carte. 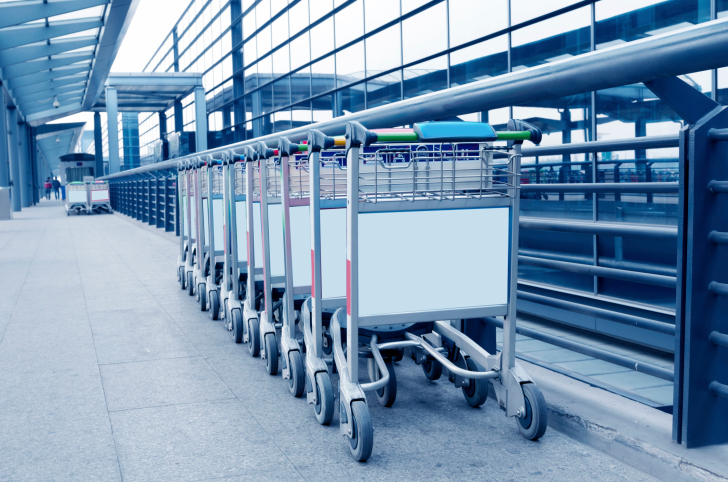 Airports found that they could save money by not having to retrieve carts from the far reaches of the parking lot, or worry about passengers taking them home with them. Again, tightened security now prevents friends and family members from walking almost up the jetway to greet arriving passengers or clutch them tightly for one last farewell hug before departure. These regulations also make a major plot point of 1970’s Airport impossible—after all, that’s how Academy Award-winner Helen Hayes sneaked aboard an international flight. 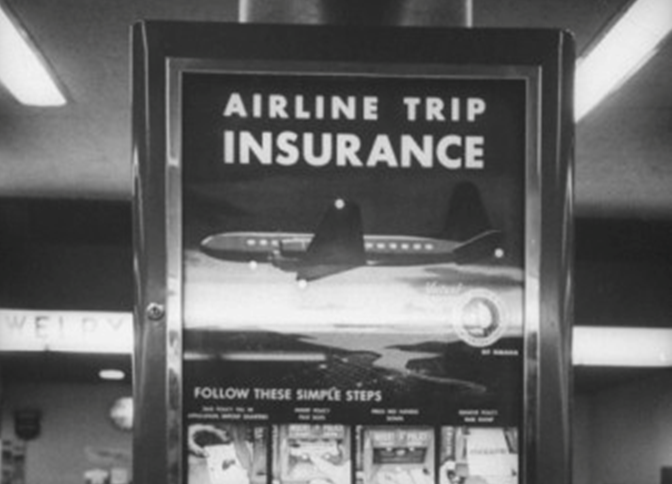 For many years there were not only kiosks with smiling personnel ready to sell you flight insurance ($25,000 coverage or more for a few dollars), but also self-service vending machines located near just about every gate. Despite the occasional kook who bought a huge policy with the intent of blowing up the plane, the pre-flight insurance business slowly fizzled out simply because as air travel became more affordable and common, folks didn’t view a flight as any more life-threatening than a road trip, and revenues dropped. Until the Jetway was invented, all passengers had to walk outside onto the tarmac and climb a set of portable stairs to board the aircraft. This was often inconvenient depending upon weather conditions, or on the passenger’s personal fear of flying. 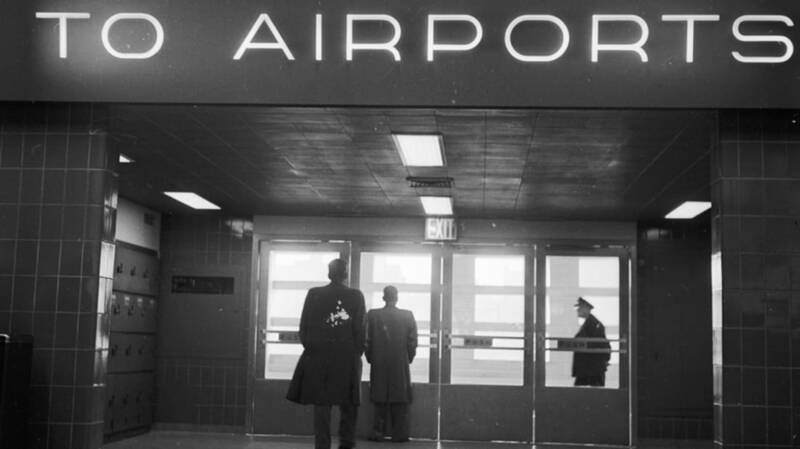 The first Jetway covered corridors were installed by Delta Airlines at Atlanta’s Hartsfield Airport in May 1961. For many years there were no restrictions on where you could light up in an airport. Then when the Surgeon General got involved with all those health warnings, designated smoking areas became the norm. When cigarettes were first banned on certain flights, the most congested area in the airport arrival lounge wasn’t the baggage claim but rather the perimeter around the first pedestal ashtray passengers encountered as they exited. Today, smoking restrictions at many airports are so tight that folks have to stand some 20 feet or more outside the exit doors of the building.